I have to sell her. It’s been years since I’ve played her. I play fiddle now. So Isolde is languishing in a corner. And, I just can’t look at her settled in to a silent life. 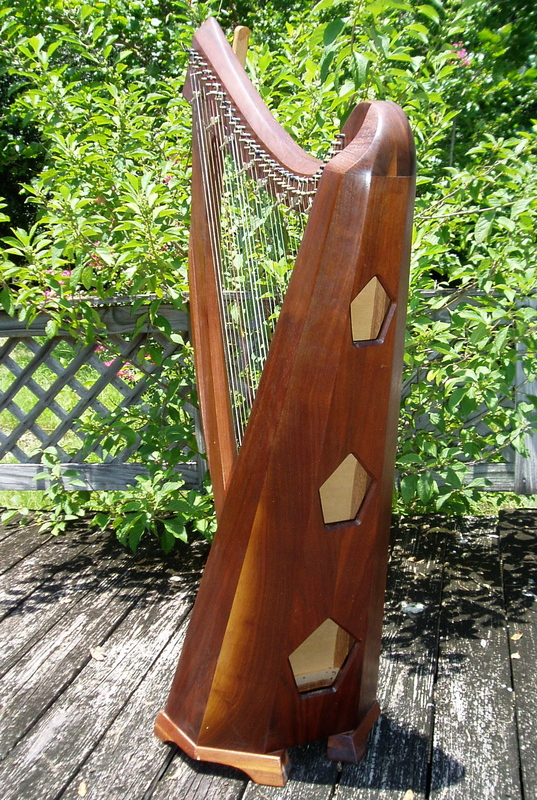 This is a lovely harp, built by James Rydecki in the mid 80s. I’m the original owner. She moved with me from Santa Barbara to Florida. Now, she needs to go to a new home, with someone who will touch her every day. I ordered a set of strings – Dragonwhispers, and replaced a few. Surprisingly, most of the old strings are fine. So, I have a partial set of brand new replacement strings to go along with her. And a tuning key of course. 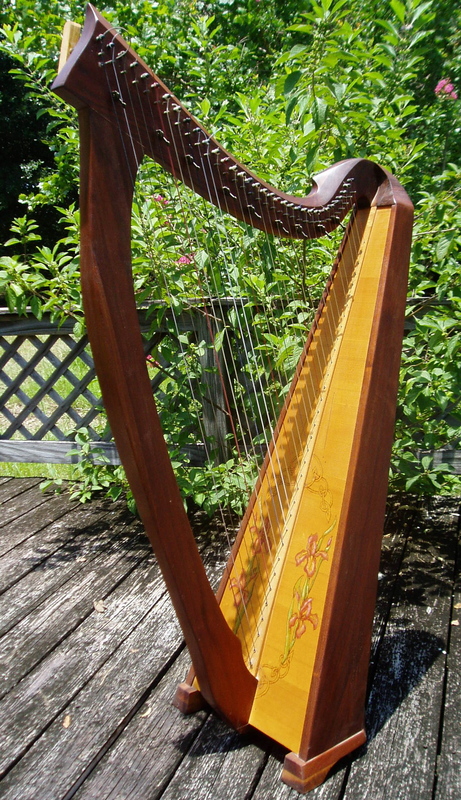 The harp is walnut and spruce, with an iris and Celtic knot design on the soundboard that is original to the instrument. She is a 34 string harp with F & C levers. If you are interested in buying Isolde, please drop me a note at celleowood@aol.com or leave a comment with your contact info.